Roughly 24 hours leading up to my colonoscopy, I subsisted on chicken broth, ginger ale and lemon gelatin — the closest substance to solid food that I was allowed to eat. Then, in the early evening, came the MoviPrep, a magical elixir that quite effectively ensures that your colon is squeaky clean. After downing voluminous amounts of the commonly prescribed solution — which tastes, as another blogger aptly noted, like a mixture of Sprite and sea water — I watched TV, waited and remained very close to a bathroom. The next morning, I repeated the process. The procedure itself proved less eventful. I won’t pretend I wasn’t nervous — less about the colonoscopy than what it might find — but the nurses and doctor, and eventually a mild sedative, put me at ease. Although some people remember nothing about the colonoscopy, I was awake and somewhat alert during at least part of mine — and I even watched the monitor along with the doctor and nurse. It was completely painless, and as it turned out, the doctor found nothing other than a mild case of diverticulosis. I’m not particularly eager to have another one anytime soon, but when the time comes, I won’t fear or avoid it. You shouldn’t either. Thurston Hatcher is a digital engagement manager in the Department of Marketing and Communications at Rush University Medical Center. 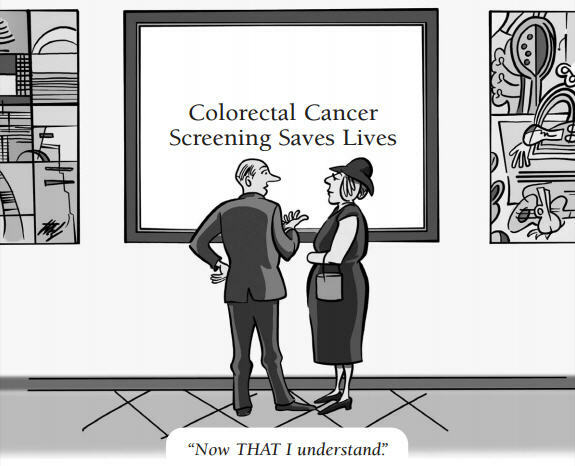 This entry was posted in Cancer, Patient Stories and tagged colon cancer, colonoscopy, colorectal cancer, gastroenterology. Bookmark the permalink. I don’t fear them, my problem is the medicine that has to be taken beforehand. I can only drink 1/2 of the gallon, after which, I can no longer take it (I won’t go into what occurs but I’m sure you have an idea). Not to mention, I do not get the cleansing required because I could not complete the medication. Is there something that can be done to remedy this? I have tried the different flavorings, adding ice, all of that to no avail. Hi Laurette: I read something today that suggested drinking the liquid through a straw, thereby bypassing the taste buds, which seems like a great idea. Another recommendation is to refrigerate it for several hours before you have to drink it. I think that helped me. ask if you can take the pills…..
What pills? I never knew or heard of any pills? Do you feel that for people who are suffering existing inflammation in the colon prior to their colonoscopy, its’ quite possilble to increase the inflammation or have more pain/bleeding afterwards for a short period of time due to the foreign “scope” being up in there? I myself felt that my UC symptoms got a bit worse shortly after the scope 3 plus years ago, and it seems that quite a few others feel the same. But not sure if “normal” or healthy people also deal with increased or new inflammation after this type of procedure? any thoughts?